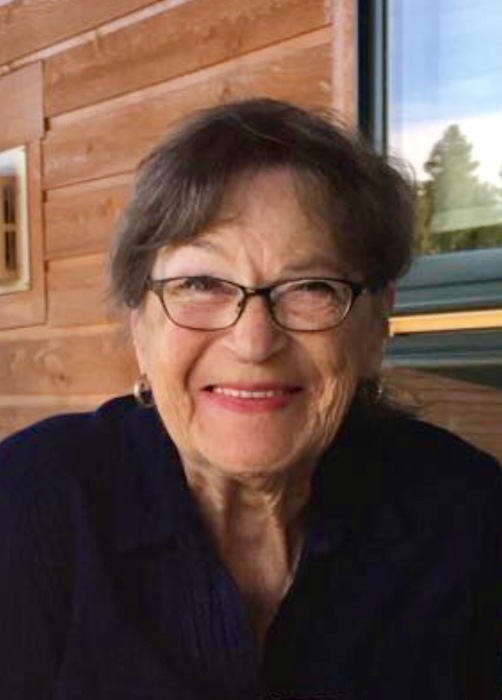 Constance Marie "Connie" (Christie) Adams, 80 of Castle Rock, CO formerly of Ellettsville passed away at Sky Ridge Hospital on Friday, January 18, 2019. Constance Marie Christie Adams was born on June 6th, 1938 to Ethel Gray Miller and Floyd Delford Christie in Ellettsville, IN. Connie grew up in Bethel Baptist Church and was a Rainbow Girl and later Worthy Matron in the Order of the Eastern Star. She graduated from Spencer High School and spent much of her early life building a career in banking that took her from Indiana to California and back to her home town again. Connie served as President of Women in Banking as well as the Vice President of Bloomington National Bank, until her retirement in the early 1980’s. Connie married William Richard Adams on October 20, 1968 and built a family that included 6 children and 10 Grandchildren. Connie started a second career at IU in 1987 and retired from another successful 18 years, during which time she was the Assistant to the Chair of Anthropology. While her professional accomplishments were notable and a large part of her life, it was her role with her family that was most important to her. Daughter, Sister, Mother, Mother-in-Law, Grandma and “Nina,” as she became known to her youngest grandchildren and the many family and friends that knew her, were the roles that allowed her to give the gift of her experience and wisdom. Connie was a member of Bethel Baptist Church, Junior Achievement, MADCAPPS, Delta Theta Tau and served on the Ellettsville Town Board as well as multiple town, school and church committees through the years. Connie moved to California in 2007 to live with her daughter, Teresa, and her three kids, taking over the role of Chief Logistics Coordinator for the family. Connie loved to travel and create memories with visits to Greece, Scotland, England, Wales, Mexico, and Turks and Caicos, making friends in each location. Connie was honorary grandma and mom to many and will be greatly missed. Connie was known for her faith, her humor, her love of a good margarita and an unending spirit and drive through tough times. Connie was preceded in death by her parents; her brother, Stan Christie; husband, William R Adams and grandson, Joshua Adams. She is survived by her loving children and stepchildren, Scott C. Adams and Teresa Lynch (Beau), Bill Adams (Mel), Jim Adams, Betsy Adams, and Rick Adams; sister-in-law, Ginger Kisters Christie; grandchildren, Ben Adams, Alice Adams, Boden Hawes Adams, Kai Hawes Adams, Hannah Cain, Chris Cain (Lauren), Mackenzie Lynch, Grayson Lynch, and Harris Lynch; nieces, Georgana Turner (Jeff), and Tina Higgins (Lonnie); nephews, Todd Christie (Debbie) and Ben R. Christie; great nieces, Carmen Christie and Nicole McBride (Bryan), and great nephew, Brandon Christie and loving family Collene Hawes and countless other loving friends and family. Visitation will be held on Friday, January 25 from 4:00-8:00 p.m., and again from 11:00 a.m.-1:00 p.m. on Saturday, January 26, 2019, at Chandler Funeral Home in Ellettsville. Services will take place on Saturday the 26th at 1:00 pm at the funeral home officiated by Pastor Maurice Wright. Afterward, interment will be held at Chambersville Cemetery. In lieu of flowers, donations may be made to Sepsis Alliance www.sepsis.org in Connie's name.